Inviting Briargate 2 Story has lovely open kitchen, granite counters, glass tile back splash and stainless appliances. Adjoining bright breakfast space leads to cozy Family Rm with full wall fireplace. Terrific Master BR has personal balcony from French doors, 5 piece bath and mountain view. Updated lighting, much hardwood, some new carpets, mostly fresh paint.Move in condition.Carefree stucco w/brick exterior. 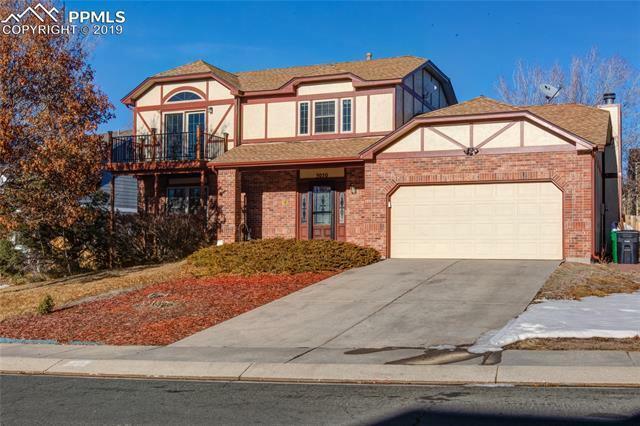 Easy access from established Woodside via Woodmen to Powers and I 25. Basement has 4th BR plus den and storage. .